“Whether sailing on a tall ship, watching mock cannon battles or enjoying festival activities while listening to live entertainment, there’s something to engage all ages,” said Dan Pingaro, the Institute’s director. 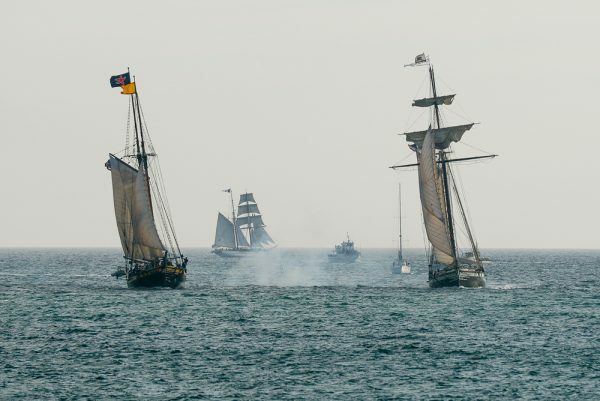 The weekend kicks off with the Parade of Sails and the Sails ‘n Ales party, followed by tall ship tours, pirate voyages, mermaid encounters and vendors. Tickets range from $8-$10 and can be purchased at www.oceaninstitute.org. Free parking is available at designated shuttle lots located at Strand Vista Park and Dana Hills High School, with free shuttle rides to the festival. Shuttles will run from 8:30 a.m. to 8:30 p.m. from all lots.